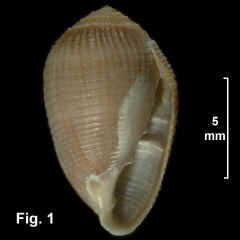 Description: Aperture about 70% of total shell length, spire weakly convex. 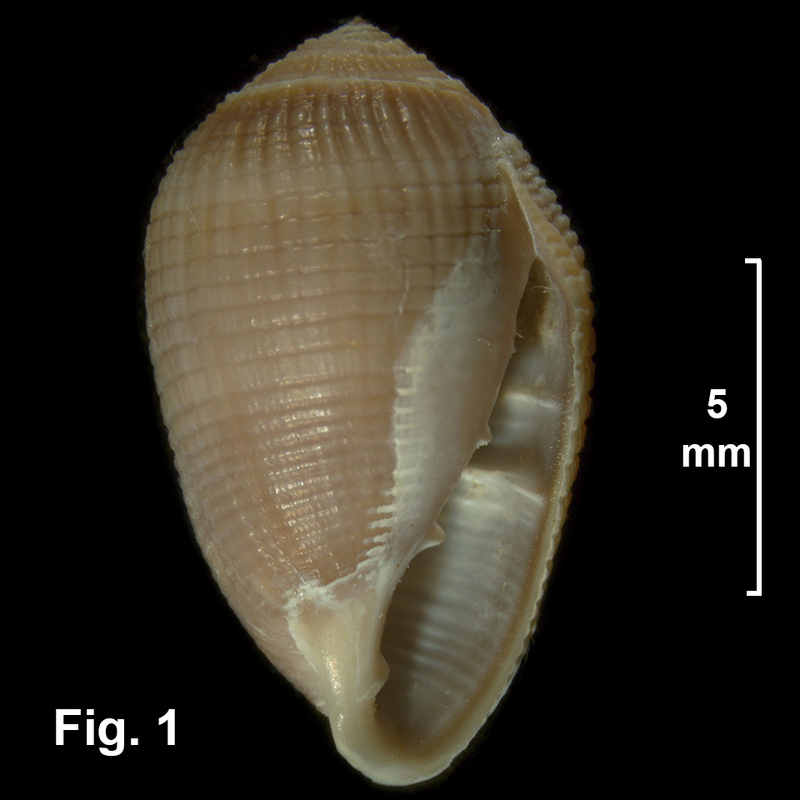 Shell sculptured with regularly spaced spiral grooves and sometimes irregularly spaced axial grooves that break the surface into rectangular beads. Aperture narrow; inner lip with 4 widely spaced and relatively weak folds; outer lip not thickened, with numerous lirae internally as is characteristic of all species of Melampus. Umbilicus closed. Colour fawn or brown. Size: Up to 14 mm in length. Distribution: Tropical Indo-West Pacific. In Australia, Broome and Barrow Island, WA, around northern Australia, to Brunswick River, northern NSW. Habitat: The habitat of this species is not recorded, but other ellobiids live in the upper littoral region in mangroves and salt marshes. Fig. 1: Sinclair Bay, Edgecombe Bay, Qld (C.411687).